Donald T. ANDERSON (Australia). Prize-winner of 2001. Emeritus Professor at the University of Sydney (Australia). World-wide acknowledged authority in the field of comparative anatomy and embryology. Author of Embryology and Phylogeny in Annelids and Arthropods (1973), Barnacles (1994), Atlas of Invertebrate Anatomy (1996). Gary FREEMAN (USA). Prize-winner of 2001. Professor, Section of Integrative Biology, University of Texas at Austin, USA. Authority in the field of comparative invertebrate embryology, having vast practical experience with eggs. Embryos and larvae from numerous marine invertebrate phyla, including many non-standard species. Performed brilliant experiments, e. g. on polarity and specification in eggs and larvae. Author of comprehensive reviews on different types of fate determination and their evolutionary background., recognized leader in the field of embryological bases of animal evolution. Authorithy in the field of embryology of many phyla of invertebrates. Brian HALL (Canada). Prize-winner of 2001. Emeritus Professor Dalhousie University Nova Scotia, Canada. Embryologist who has made prominent contribution in synthesizing vertebrate development and evolution. Author of many fundamental monographs and handbooks: Cartilage (1991), The Skull (1993), Homology: the hierarchical basis of comparative biology (1994), The Origin and Evolution of Larval Forms (1999), Neural Crest in Development and Evolution (1999). 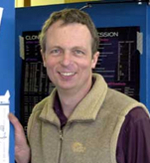 He is author of textbook Evolutionary Developmental Biology (1992, 1999). Olga IVANOVA-KAZAS (Russia). Emeritus Professor of Sanct-Petersbourd State University, Russia. 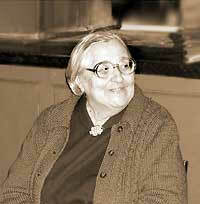 Prize-winner of 2001. Distinguished authority in the field of comparative and evolutionary embryology. The author of Comparative embryology of invertebrates in 6 volumes (1975 -1981) , Evolutionary embryology of animals" (1995), Essays in comparative embryology of hymenoptera" (1961), Essays in the phylogeny of the lowest chordates " (1995). Claus NIELSEN (Denmark). Prize-winner of 2001. Emeritus Professor of Natural History Museum of Denmark København, Denmark. World-wide acknowledged authority in the field of classic in the field of comparative zoology and embryology. Emphasizes the importance of developmental charactrs in establishing Metazoa phylogeny. Author of Living and Fossil Bryozoa (1981), Bryozoa: Ordovician to Recent (1985), Animal Evolution: Interrelationships of the Living Phyla (1995); Animal Evolution (2002). Rupert RIEDL (1925 - 2005) (Austria). Prize-winner of 2001. Celebrated specialist in the field of Zoology, made great contributions in understanding of theoretical principles of comparative morphology. 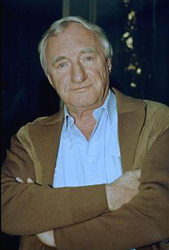 The author of Die Ordnung des Lebendigen (1975), Order in Living Organisms (1977) which stimulated new arising of evolutionary embryology. Rudolf RAFF (USA). Prize-winner of 2001. Professor of Department of Biology, Indiana University, USA. Prof. Raff is world-wide known researcher, who fruitfully combines modern molecular, comparative and phylogenetic approaches. Author of Embryos, genes, and evolution: the developmental-genetic basis of evolutionary change (together with Th. Kaufman, 1983), The Shape of Life (19 ), Genes, Development, and the Evolution of Animal Form (1996), Editor of Time, space, and pattern in embryonic development (1983), Development as an evolutionary process (1987). Klaus SANDER (Germany). Prize-winner of 2001. Dr. Klaus Sander is professor (Emeritus) of Institut fur Biologie I (Zoologie) University of Freiburg, Germany. 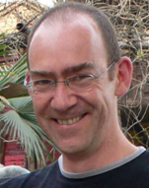 Expert in classical developmental biology and in the history of embryological concepts and theory, successful and influential with experiments on morphogenetic gradients in insects embryos, and mentor of brilliant molecular developmental biologists. Helped guiding developmental biology from the descriptive and experimental into its molecular era. For many years editor of Roux’s Archives of Developmental Biology. Eric DAVIDSON (USA). Prize-winner of 2002. Norman Chandler Professor of Cell Biology, Division of Biology, California Institute of Technology, Pasadena, USA.. Biochemist, pioneer in molecular developmental biology, author of reviews setting standards in both modern molecular analysis of developmental processes and in comparative mechanistic embryology. 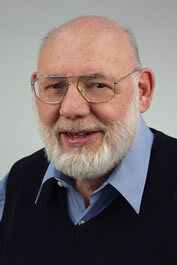 Author of comprehensive synthesis of classic and modern functional developmental biology Gene activity in early development (1968, 1986), and of Genomic regulatory systems (2001). Walter GEHRING (Switzerland) (1939-2014). Prize-winner of 2003. Walter J. Gehring is Professor at the Biozentrum of the University of Basel, Switzerland. Investigated the relationships between gene activity and development and pioneered our knowledge on the widespread occurrence and evolution of morphogenetically active genes. Visualization of spatial patterns of such genes in the fruit fly embryo, their common homeodomain motif and the ectopic expression of eyes by action of a mouse gene in fruit fly development was sensational result even to the general public worldwide and essential contributions to modern biology. Scott GILBERT (USA). The prize-winner of 2004. Scott F. Gilbert is the Howard A. Schneiderman Professor of Biology at Swarthmore CollegeUSA. Outstanding practitioner of reptilian embryology; one of synthesizers of new trends in modern biology now known as Evolutionary Developmental Biology (Evo-Devo) and Ecological Developmental Biology (Eco-Devo). 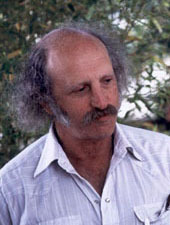 Author of internationally known textbook Developmental Biology, which introduced these fields into the teaching canon of developmental biology. Noriuki SATOH (Japan). The prize-winner of 2005. Head of Laboratory of developmental genomics, Department of Zoology, Graduate School of Science, Kyoto University, Japan. One of the founders of modern Ascidian studies, who introduced a molecular approach to these animals, opening the door to the genome-level investigations of evolutionary developmental biology. In collaboration with JGI, he has sequenced the entire Ciona intestinalis genome, and has elucidated genetic changes likely to have been involved in the vertebrate evolution. Educated many students, some of whom went on to become principal investigators in their own labs. Made a prominent contribution in elucidation of heterochrony, one of the central topics in evo-devo. Michael AKAM (UK). The prize-winner of 2006. 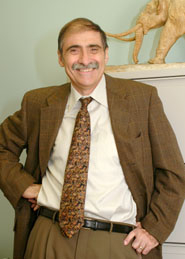 Professor Michael Akam, Director, University Museum of Zoology of Cambridge one of the founders of modern evolutionary developmental biology, has won the 2007 Alexander Kowalevsky Medal. This prize recognizes outstanding contributions to the field of evolutionary developmental biology. Peter HOLLAND (UK). The prize-winner of 2007. P.W. Holland is Linacre Professor of Oxford University. Distinguished molecular biologist and evolutionist. Described structure of Hox-gene cluster in Amphoxus. Opened system of ParaHox-genes in animals. Expressed fruitful hypothesis about origin and evolution of Hox- and ParaHox-genes. One of the leaders of the project "Genome of Lancelet". Peter Holland, homeobox genes and the developmental basis of animal diversity. (2008) Int. J. Dev. Biol. 52: 3-7. Sean CARROLL (USA). The prize-winner of 2008. Sean B. Carroll is an award-winning scientist, author, and educator. He is currently Professor of Molecular Biology and Genetics and an Investigator with the Howard Hughes Medical Institute at the University of Wisconsin USA. His research has centered on the genes that control animal body patterns and play major roles in the evolution of animal diversity. Mark Q. MARTINDALE (USA). The prize-winner of 2009. Mark Q. Martindale, director of the Kewalo Marine Laboratory and Professor in the Pacific Biosciences Research Center (PBRC) at the University of Hawai'i at Manoa (USA). Dr. Martindale is one of the world's foremost comparative embryologists and a leader in the field of evolutionary developmental biology. Dr. Martindale has used evolution as an integrating principle for his empirical studies of the cellular and molecular aspects of development. a wide range of animals from diverse taxa, mostly marine species. Shigeru Kuratani (Japan). The prize-winner of 2010. Head of the Laboratory of Evolutionary Morphology, RIKEN Center for Developmental Biology. S. Kuratani one of the most accomplished evolutionary embryologist of vertebrates today. His training was in comparative anatomy and embryology of vertebrates but extended his expertise into experimental molecular developmental biology. He is a leading scientist who has done pioneering work on almost all of the classical questions of comparative vertebrate anatomy, development and evolution: the origin of jaws through his molecular studies on lamprey development, studies on the origin and development of the turtle carapax. Another top Dr. Kuratani has made import contributions is vertebrate head segmentation. He is also author of a major synthetic work on the developmental evolution of vertebrates. Detlef Arendt (Germany) The prize-winner of 2011. Group Leader, Senior Scientist and Academic Mentor Postdoctoral Training, EMBL Heidelberg, Germany. Detlev Arendt is a unique molecular biologist and comparative zoologist, who compares developing embryonic and larval forms, patterns of embryogenesis, brain anatomy between annelid, arthropod, and vertebrates, at molecular and cell biological levels. He has a key role in establishing the annelid Platynereis dumerilii as a system for the study of development and evolution. For the past several years Detlev has used this annelid species and has shown a remarkable similarity in the cytological architecture of the brain in bilaterians. William R. Jeffery (USA). The prize-winner of 2012. Senior Adjunct Scientist and Professor, University of Maryland, Marine Biological Laboratory, Woods Hole, USA. 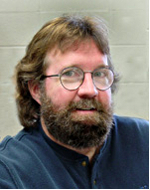 Prof. Jeffery is known for his work on the developmental basis for the evolution of ascidians that lack a number of components of their larval action system. Using ascidians, Prof Jeffery group studies the origin and evolution of the chordate neural crest and the molecular and cellular basis for their powerful tissue regeneration capacities, which are unique among the chordates. More recently he has been studying another example of regressive evolution, the loss of vision in Mexican cavefish. His study of cavefish reflects the selection of an important question that has been answered by choosing the right kind of material and a creative experimental approach. Nicholas D. & Linda Z. Holland (Marine Biology Research Division, Scripps Institution of Oceanography, University of California at San Diego, USA).